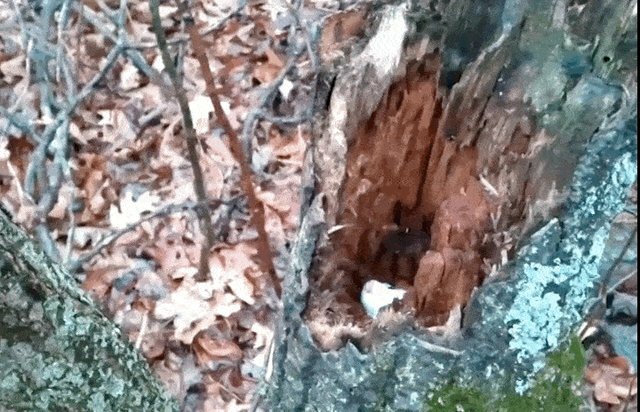 Chris Cooper was in the Michigan woods when he caught a glimpse of this shy white ermine peeking out of a hollow tree to say hello. Luckily Cooper had a camera, so he was able to record the cutest game of peek-a-boo ever. 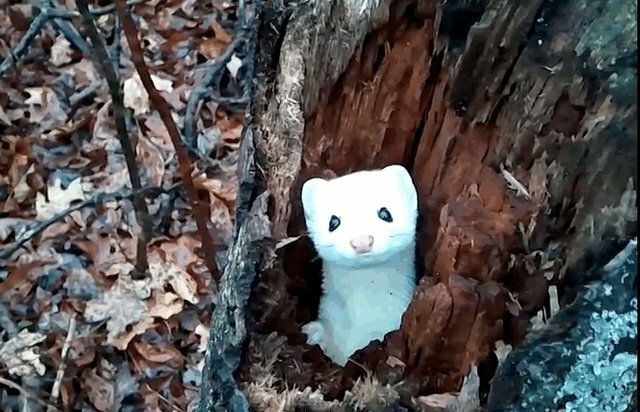 Look how the ermine wiggles his little nose! Ermines are a type of weasel, and in the summer their fur is brown with a white belly, but in the winter they're almost all white except for a black dot on their tails. 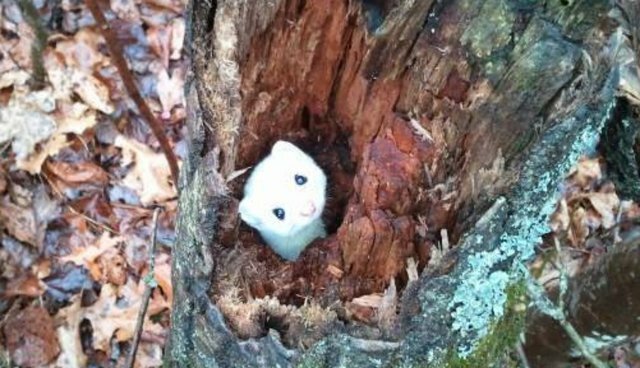 This is actually a sneaky way to trick predators: In a snowy landscape, an ermine's enemies - like owls, foxes and coyotes - may lunge at the ermine's dark tail, but they'll miss the head and body. Cooper was lucky enough to catch this friendly little guy in his cold-weather outfit. Looking good!